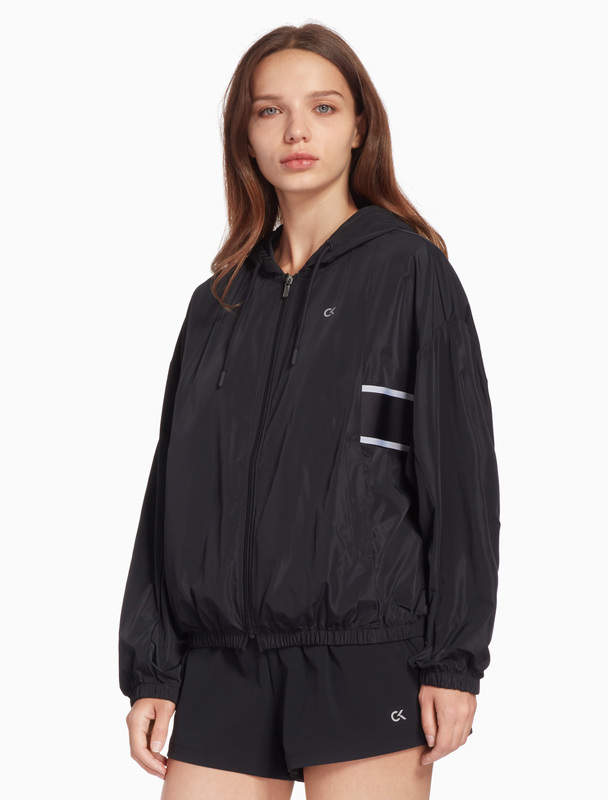 This Calvin Klein Performance windbreaker jacket has a hood with an adjustable drawstring and a front zip opening. 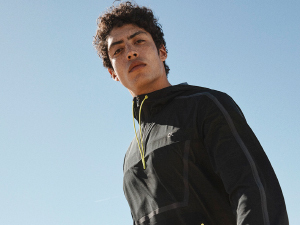 The elasticated cuffs and hem are engineered for your optimal comfort. The jacket is finished a small reflective CK logo on the chest and a contrastive logo band on the back.